Vermont is also “home” to us. My husband and I went to college there, fell in love there, got married there, adopted our dogs there, and continue to visit our family and closest friends there. 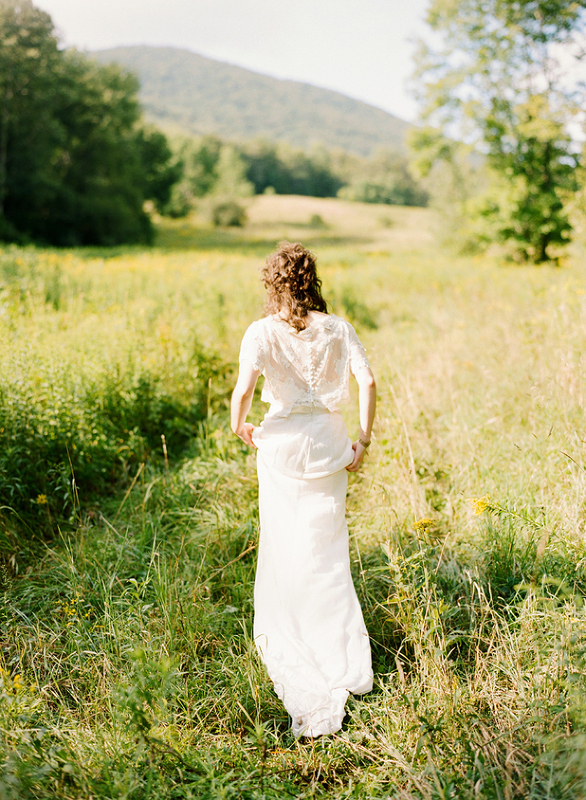 We love every opportunity to get back to that fresh embrace we feel in the mountains of Vermont. This August, I stayed in Dorset with Gary’s family for about ten days. 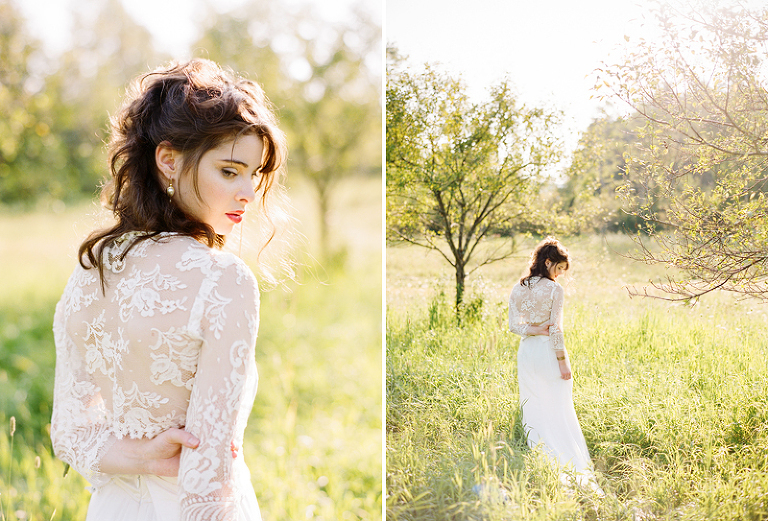 I photographed a wedding, a community bakery, a wild-flower garden and an engagement shoot. While out for a run one morning I passed THESE tall spruce trees… and within about 48 hours, I found a “model”, flowers, hair, make-up, earrings on consignment, and had the most beautiful items from Chaviano Couture‘s bridal collection overnighted from Atlanta. 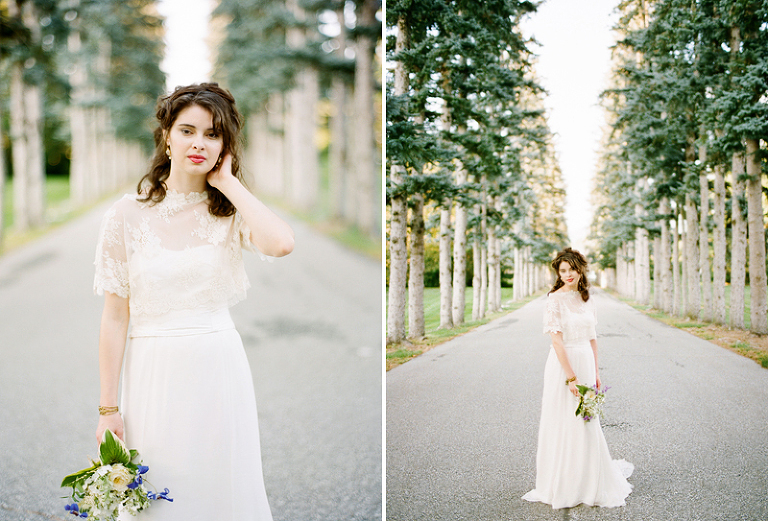 So honored to have these photos featured on the Eco-Beautiful Weddings site, focused on stylish green weddings! Visit Chaviano Couture‘s own site as well! Annette was SUCH a sweetheart to work with and shipped her beautiful collection to me on the same day I wrote to her. Her new collection is coming out soon! A huge thanks to Selene for jumping in feet-first for this wonderful photo adventure! She kept up her spirits for hours as we traipsed through fields and streams, and even climbed trees! Oh my gosh. These images…… LOVE.